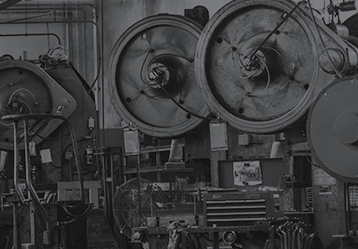 Established in 1967, INWESCO has furnished the electrical and telecommunications industries, the storm and wastewater industries, public utilities, the OEM markets, aftermarket suppliers, and pre-cast contractors with standard products, custom-fabricated products, and design, engineering, and fabrication services needed to successfully complete a project. Our vision is to help connect and power a stronger America by providing innovative solutions and products that help our customers do their job better. Why Do Business with INWESCO? Our strengths, coupled with our attention to our customers, create unsurpassed value and service. An understanding of our abilities and strengths will confirm the combination of value and service provided by INWESCO. You want an innovative company looking for ways to serve your needs, save money, reduce effort, improve designs to reduce risks, increase security, and improve reliability. At INWESCO you will find leadership focusing on customer care, constantly searching to improve products and services. INWESCO is motivated to deliver more cost-effective and better engineered products. We are dedicated to delivering services to match your need for speed in design, engineering, and fabrication. INWESCO would never compromise on safety or basic engineering, but if we can reduce our costs to you, we will. INWESCO understands the changing need in the marketplace and can provide the precise options for the safety and security you need to match the risk. Our standard parts are built using accurate dies and templates. This makes our parts interchangeable. More than one problem has been created by parts that are not interchangeable. We take pride in our precision and attention to detail. We have the size and the manufacturing ability to create close tolerances. By exceeding the norm for tolerances, we reduce problems. We have a very simple yet effective name plate interchange system. Our customers appreciate the management flexibility to designate covers and doors for a particular task. Are You in a Hurry for Solutions? Mass production and stocking of popular sizes and designs are standard practices. Our large inventories facilitate 48-hour shipment of standard products in most cases. Custom orders generally are shipped within two to three weeks after the approval of shop drawings, and we are committed to getting your job on the shop floor and into production within 72 hours of receiving you order and approval of drawings. You will find INWESCO a company that understands your urgency, that desires to build a long-term trust, that values your time, and that appreciates your need for accurate answers. INWESCO can deliver a working timetable for execution. We do not react to events, but are proactive in meeting the needs in a changing marketplace. We are vigilant to find ways to better serve. Safety and security issues are great examples. How Can INWESCO Help You? That is how we want you to remember INWESCO. We care about our customers and customer service. Contact us today with your needs, concerns, and questions.